Join the team at Beer DeLuxe for a chat & taste of all things Abbey beers. Session hosted daily, talking through two Abbey beers on tap, plus our extensive bottle range. 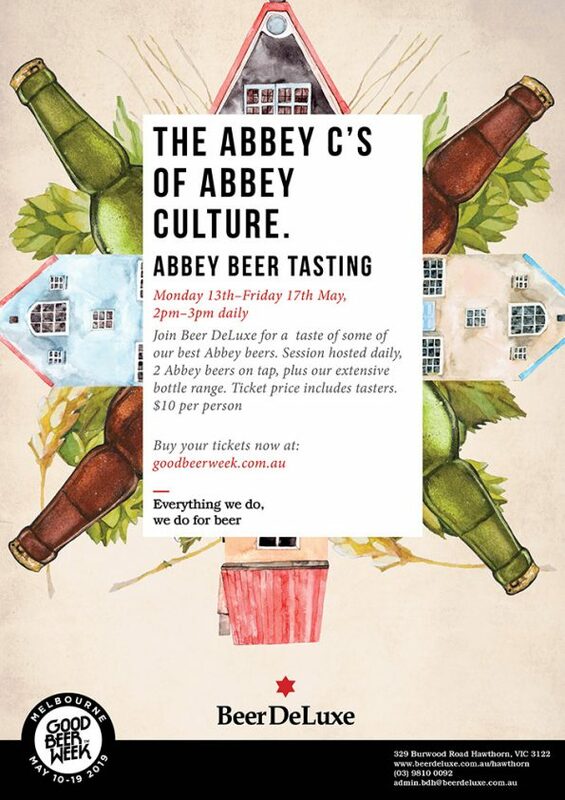 Ticket price includes tasters of some Abbey beers. Sessions run daily between Monday 13th May – Friday 17th May from 2pm-3pm, tickets are $10+bf per person which includes tasters.